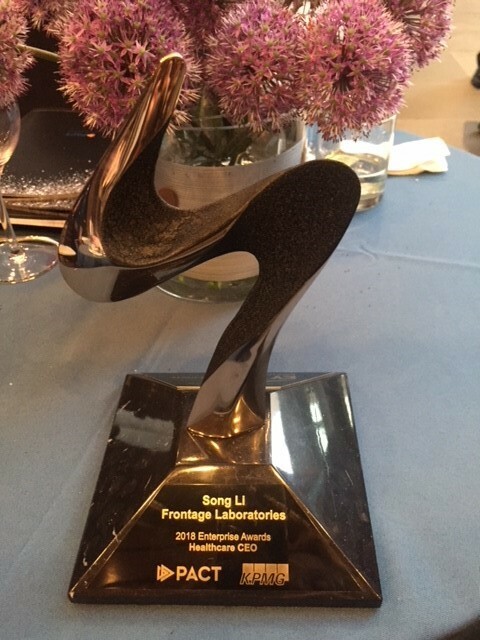 EXTON, Pa., May 16, 2018 /PRNewswire/ -- Dr. Song Li, founder and CEO of Frontage Laboratories Inc., has been awarded the Healthcare CEO of the Year Enterprise Award for 2018. Sponsored by PACT (Philadelphia Alliance for Capital and Technologies), this award recognizes extraordinary business leaders in healthcare and technology in the greater Philadelphia region. 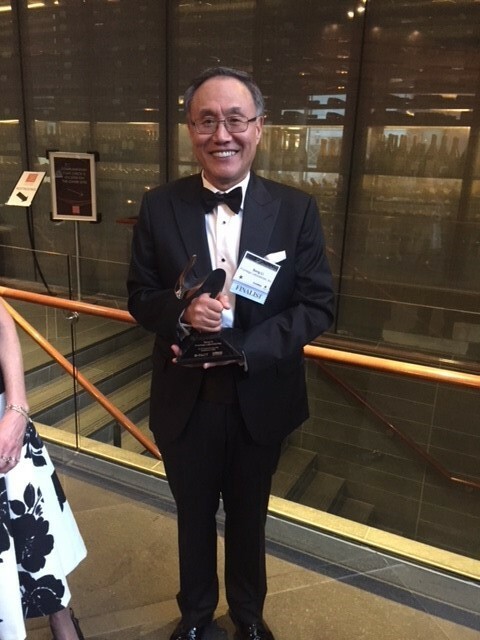 The Healthcare CEO Award recognizes Dr. Li's management accomplishments and philosophy, leadership and impact in the industry, financial accomplishments and his ongoing strategy for continued company success. "It's a great honor for me to win this Healthcare CEO Award. In 2001, I founded Frontage Laboratories in New Jersey with a $100,000 investment. In the last 17 years, Frontage has grown from a one-man testing lab to a 700-employee CRO company with fully integrated services for pharmaceutical product development. During this 17-year journey, many people have given me unconditional support. I would like to take this opportunity to express my appreciation to many people who have given me the support and made great contributions to Frontage's success," said Dr. Song Li. Frontage Laboratories,Inc., a full service early-stage contract research organization (CRO) with 14 locations in the USA and China, has been assisting global biopharmaceutical companies in their drug development efforts since 2001. Spanning from discovery through late-stage development, Frontage offers small and large molecule product development services including DMPK, Preclinical Safety and Toxicology, Bioanalysis (PK, Immunogenicity Assessment and Biomarkers), CMC, Clinical Trials, Biometrics and Regulatory support. These product development services have enabled many innovator, generic and consumer health companies of all sizes to file IND, NDA, ANDA, BLA and 505(b)(2) submissions in global markets allowing for successful development of important therapies and products for patients.